1 ½ cup chopped cashew nuts. 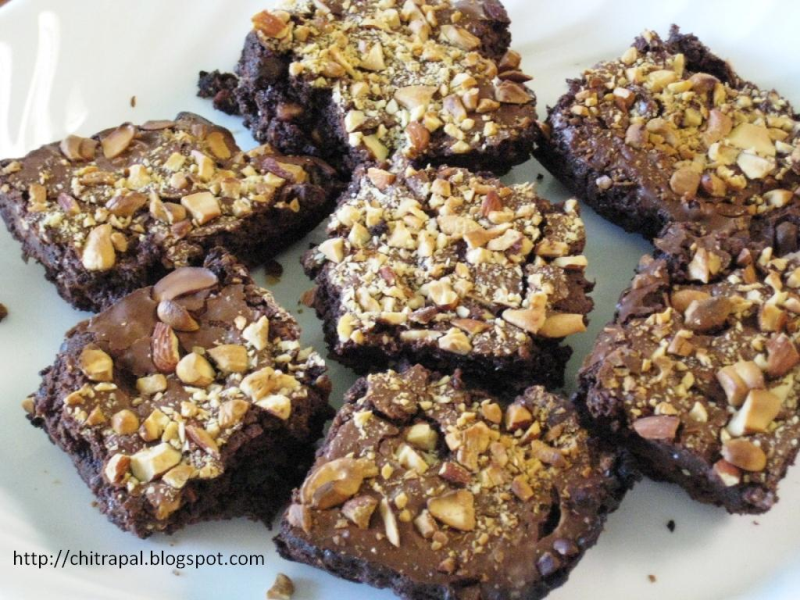 Mix Ghirardelli brownie mixture with egg whites, oil or butter, yoghurt and vanilla slowly one by one. Grease an 8* 8 inch pan with little butter or oil and preheat the oven at 350 for 10 minutes. Pour ¼ of the mixture in pan and spread add chocolate chips. Pour little brownie mix again. Now add cashew nuts and spread all over. Now pour rest of the brownie mixture. Now bake it for 20 minutes or until the fork comes out clean if you dip in the mixture. Cool it down for 15 minutes and cut into pieces. Dust the sugar if you want. Enjoy with coffee or tea and remember they are low fat as you have decreased little fat with egg whites and butter.